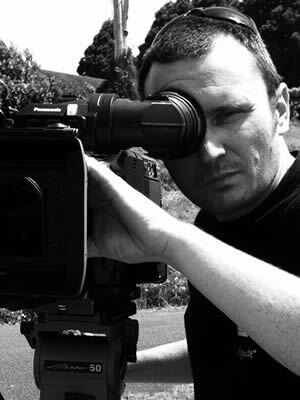 With over 20 years’ of broadcast experience and an extensive high profile client list, Joseph Ward has developed a reputation for providing high quality and innovative filming and production services. He’s been nicknamed the “swiss army knife” of production due to his wide range of skills and exceptional competency..
Sony F5 CineAlta 4K With Fujinon Cabrio 19 – 90mm T2.9 + other lenses spanning 11mm to 200mm. Joe’s current “A” camera is the awesome Sony PMW F5 with Fujinon Cabrio glass, upgraded to 4K and Prores 4444 internal recording. Joe’s work spans from big event coverage (Tour de France, Olympics, Commonwealth Games & Rugby World Cup), through to factual, reality, documentary, tourism, live sport, promos, TVC’s and music video. Clients include: Redbull, Ripcurl, Channel 7, Ten Network, SBS TV, ABC Australia, Beyond Productions, McGuire Media, 303 Mullan Lowe, BBC (UK), ITN (UK), Subaru, Lawn Solutions, Commonwealth Bank, Ernst & Young, Fortescue Metals, Gearhouse Broadcast, NEP & Multiply Media. Since the advent of Panasonic’s P2 HD cameras in 2006, Joe has remained ahead of the curve in the use and efficient workflows of solid state cameras including Sony SxS, Panasonic P2, Red, Arri and Blackmagic. Joe takes pride and effort in keeping up with the latest in technical advancements in conjunction with highly developed aesthetics to create innovative solutions and looks for your next project. To this end, Joe has also become expert in the field of Livestreaming and has completed projects for clients such as Facebook, Harley Davidson, SBS TV, the United Nations and Sydney Fashion Week. With the capability to provide full service outside broadcast production, from 1 up to 6 cameras + unlimited virtual inputs, talk to Joe about your next live webcast project. Joe also has a motorcycle modified for production shooting, with footplates, microwave link transmitter pole and Autocom comms system. Can provide an experienced moto pilot, as well as two more motos similarly equipped/crewed. While shooting handheld on the moto produces great coverage, we can also use a mounted Ronin gimbal with the Sony F5 for truly spectacular results!